This is the weird thought that my boys and I had on the drive on the way home from school just now. I can’t recall how we got onto the subject of kissing, and then snogging, but we did. As we drove away from the lovely town of Newport (where not a huge amount of kissing takes place, except sometimes under the Waitrose tunnel between sixth formers at the local grammar schools) I put a question to my three boys: why do we kiss? Their initial reaction was ‘eugghhhhhh’. But my question was serious. Why do humans like to snog, French kiss, play tonsil tennis, smooch, pet heavily and canoodle when cats, ferrets, horses and slugs don’t pucker up? Why? Why? What’s the point of it? The boys soon got over their disgust at the thought of kissing and gave the question some serious intellectual thought. Toby, the youngest, broke the silence eventually with: ‘Ohh, wait a minute, remember the Sea Life Centre!’ We asked him to elaborate, trying not to giggle at what might be coming next, imagining smooching squids. Toby explained that on a recent visit to the Sea Life Centre he had witnessed a Dog Fish tied in a knot (I’m not sure why that is relevant) whilst kissing another Dog Fish which wasn’t tied in a knot. I have no idea what this meant, whether Dog Fish snog, or what the Dog Fish were actually engaged in doing (perhaps a base beyond kissing). But the rest of the car’s occupants, myself included, simply had to give in to mirth. Apparently, 10% of the human race (and not just those who declare themselves single, too young or too old for snogging) don’t kiss. It simply isn’t in their culture. Some of the scientists who study kissing (there is a word for them: philematologists) believe that we haven’t always entangled our lips together for pleasure. They say it is a learnt activity, based on how we feed and comfort our young. 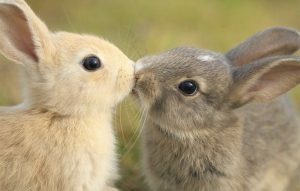 Other scientists who study kissing (also philematologists) think that we have always kissed and that we do it to test whether prospective mates ‘taste’ right (in other words, women, apparently, subconsciously prefer the scent of men whose genes for certain immune system proteins are different from their own). Some non-scientists think we have always done it just because it feels nice. Kissing releases happy hormones and is actually quite an effective stress reliever. But then why don’t cats do it? Cats get stressed too. One very old, ancient belief about kissing is that it is the exchange of souls. If that is true, then I’m not sure I want some of the souls I might have inhaled in my youth – I have quite a bank of regrettable snogs. So it seems that there isn’t one single explanation for kissing, or for why animals, by and large, don’t do it. Shame. I like the ideas of snogging spiders, canoodling caterpillars and necking gnats. At the moment I am on holiday in a lovely little village called Chapel Amble in Cornwall. The holiday let is a converted Methodist Church. It’s a beautiful building which has been very tastefully updated. However, the building has a side to it that I find a little earie. It creaks. Just like a hot car cooling on a summer’s evening, this building creaks. It creaks a lot. It creaks first thing in the morning. It creaks in the middle of the night. 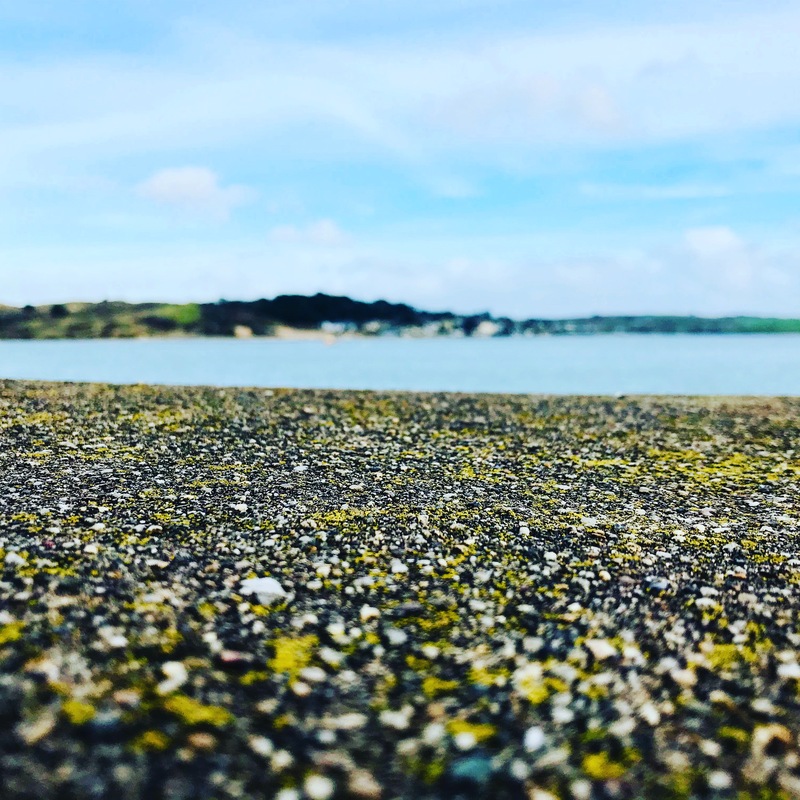 The Cornish sea in February. My conclusion? The house is alive. Does this apply to this building alone? Is it because of its past life? Does it contain ghosts? Is the wood it is partly constructed with alive? Are the trees crying? I’d like to think there is an organic element to the building. I certainly feel that it has some sort of soul. In the meantime, I will enjoy lying in bed at night listening to its voice. It speaks to me. I haven’t had any weird thoughts for ages. I’m not sure why. That in itself, is weird. They seem to be coming less often than they used to, like moments of clarity, of which I used to have a lot. I should be writing my MA Thesis, not having weird thoughts. Procrastinating, moi? This is a weird thought I had whilst driving to Wolverhampton (not on the toilet) this morning. I was thinking about my identity. Over the last 15 years I have spent a large part of my waking hours with small people. These are the small people I gave birth to. As a consequence, my identity, my sense of self, my ‘meness’ has morphed into their sense of ‘meness’. I have put a huge amount of my energy and my personality into them. I have given them unconditional love and attention – day and night. It is just what happens when you have small people. It is a beautiful thing. Who is this person? Is she a weirdo? As a consequence, they really do feel as if they are a part of me and I a part of them. It is a unique relationship. It is something I never thought would happen to me, not having ever felt one ounce of maternal desire before they came along. Now I am at a new stage in my life when they aren’t with me all of the time. They go to school, that hasn’t changed, but they also spend long weekends and the odd school holiday at their father’s house. So there are much larger chunks of time when I am without them. Only a few months ago I could count the nights I’d spent alone on one hand. Now, that count has more than quadrupled. I feel a strange sense of loss during those times. It isn’t quite as biting as it was at first, but it is still there. But it is more than a sense of loss. There is something that has happened to my identity. I feel as if I am less of ‘me’ than I should be. Certainly, the me that existed prior to 2003 is no longer all there. I am mostly me but not completely. 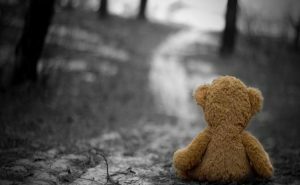 I think that is because when they aren’t with me, they take our shared identity that we have developed away with them. It is really very peculiar and something I haven’t come across in any of the books I have read. I feel like a faded shadow when I am alone – a paper cut out. I know this is temporary though, and a consequence of years spent with my identity tied to other people: Luke’s mum, Josh’s mum, Toby’s mum. I don’t mean to paint this in a negative light. They are my world. I wouldn’t want it any other way, but the gradual grieving process that comes along with them growing up is something I am having to deal with. I am fascinated by this feeling. I don’t like it but it interests me. And why not? I am always learning new things about myself as I grow older. I guess that never stops. But this bizarre concave feeling is real. Does anyone else in my situation feel this? I guess it is a sort of early ’empty nest’ thing that is very normal. Having them spending prolonged periods away from the nest means that they have, sort of, flown, a little, albeit to come back soon. I just need to colour myself back in again. I am doing that, slowly. In the last 15 years, I have rarely spent any prolonged period of time completely alone. As soon as babies came along, solitude became rare. I couldn’t even escape to the toilet. They came with me. In 15 years I can count on one hand the amount of nights I have spent in a house or hotel room alone. I’m almost on two hands, but not yet. Last night, I slept alone and today I have been alone. Solitude brings a lot of scope for the old weird thoughts to spring out and it has been a while since I’ve had one. Today I had a weird thought. And it was that I am bonkers when I am left alone. Why is that? I hear you cry. I’m not talking mental health issues. I have those. This is more of a stereotypical ‘bonkers’. A sad-cat-lady bonkers. A middle-age bonkers. 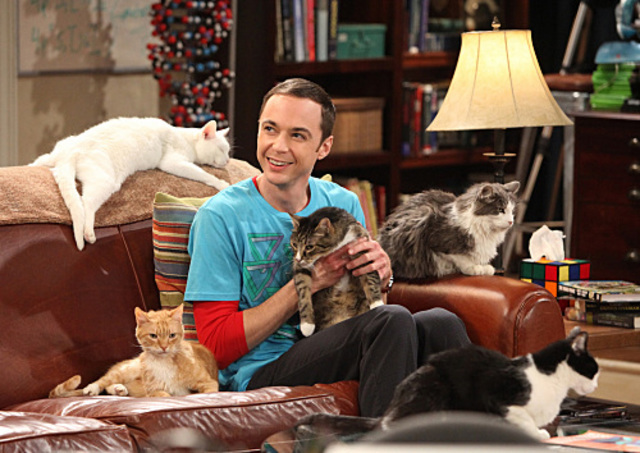 I am sad-cat-lady bonkers when I’m alone because I talk to myself, a lot. I didn’t realise I did this until today. I chatter away about what I am doing. I tell myself off for being stupid. I share with myself my triumphs. Today I have noticed this. I keep stopping myself mid-sentence to say (out loud): What are you talking about? Stop it already! As well as talking to myself (and why wouldn’t I, I am great company) I also talk to the cat, a lot. At one point today I decided to pop out to MacDonald’s for a bite to eat and to see the real world (shortly before my digestive system decided to explode and ruin my plans for the day but the two events are not related). As I left my house I told the cat when I’d be back. Did she reply? No. Did she care? Possibly but not speaking my language she didn’t react. Having derided myself for being crazy, and having realised and come to terms with my crazy cat lady side, I quite enjoy time alone. Today at least it has afforded me time to think, time to find a new creativity (I’ve written four blog entries today after a two-month hiatus), it has calmed my extremely busy mind. I haven’t felt an ounce of anxiety. I haven’t felt any stress. Ironically, I am not crazy at all today. I feel calm. I’ve had a nap. I’ve spend a large part of the day in my PJs, I can eat when I want, what I want. I can just do whatever I want. I don’t want to do this all of the time. There are people I love with all my heart and they are not here today. I will be reunited with them very soon. I miss them like an ache in my guts. But there are going to be times when I cannot avoid time alone, for whatever reason. So instead of seeing it as a time to wish away, I will see it as a time to recharge, think, explore, create and enjoy. It is quite good being a crazy cat lady. Me and Sheldon – can you tell us apart? This is a weird thought I had the other morning when I woke up in a grump. There was no evidence in the real world for my grump. I wasn’t feeling hormonal. Nobody had annoyed me. I hadn’t had any bad news. I hadn’t stubbed my toe. All appeared relatively serene and pleasant. So as I stomped around the house being stroppy, I decided to try to work out the source of my grumpiness. And after going through the list above (bad news, hormones, annoyances etc) it came to me in the form of a vivid image passing through my mind from my slumbering activities. I remembered my dream. It had been a bad dream. It has been an awful dream. I won’t bore you with the nature of the dream. Suffice it to say that it involved travelling back in time, fear, anxiety and waking with a racing heart. I had soon put the bad dream aside upon waking, forgotten about it, risen, drunk coffee, eaten a toasted sandwich and started the day. Yet, I had felt this underbelly of grumpiness that wouldn’t shift. Nobody was able to do anything right. My children were just here to be served. The kitchen was dirty. There was stuff everywhere. I had too much work to do and not enough time to do it in. I didn’t know what to wear. The recent colder weather was an added frustration I didn’t need to cope with. Everything and everyone existed to get on my nerves. All this, because my subconscious had decided to write a play I didn’t want to be a part of. 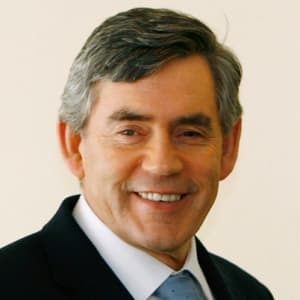 At least I hadn’t dreamt I was getting rather fruity with Gordon Brown (yes, I have also had that dream). That might have put me in a better mood. Might, I emphasise. I’m sat here as I type this watching Poldark. I’m a day later than the rest of the Poldark lovers out there. I was out last night. 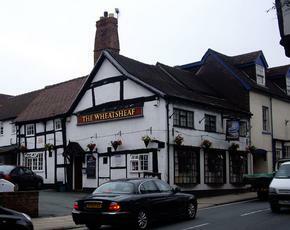 I was out at quiz night at the Wheatshef in Frankwell, Shrewsbury. We didn’t win. We were fourth. Fourth was good. The last time we attended quiz night at the Weathshef we came last. We being ‘Carly’s Angels’. I am one of the angels in question. 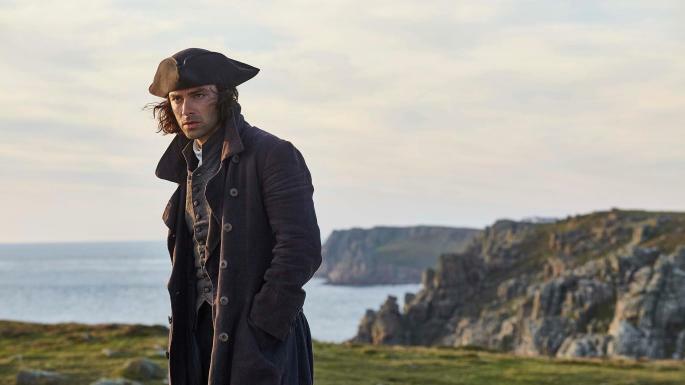 So I sit here watching Poldark a day late, and as I do, I have one of my weird thoughts. I am pondering, what is it about Poldark I love so much? As for me, personally, I would say that number 6 comes top of the list, with number 1 jogging along after. 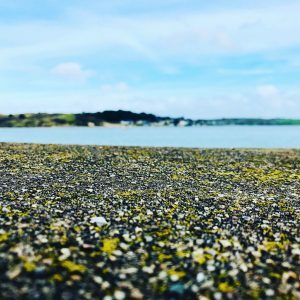 Phwoor – look at those beaches! I am a beach lover. I stand up and admit it. I just love the sea. I adore the Poldark beaches. I long for his beaches. I have only ever ventured into Cornwall once in my life and that was a day trip to Loo. I’m not sure that is the right spelling but that reflects what I thought of the place. It was about as pleasant as a trip to the loo. It was crowded, hot, tacky and cramped. So a bit like a trip to the loo in a nightclub. 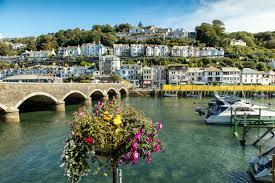 I don’t think Loo is the real Cornwall, it is just the gateway for desperate Devonians. I think in a previous life I must have lived by the sea because I feel the lure of the sea so frequently. I feel as if I have come ‘home’ when I am by the sea. The sea I see on Poldark every Sunday night is pulling me towards it. 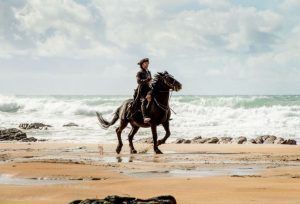 There are some episodes where I only get a glimpse (damn it), and there are some where I get a good ten minutes of Poldark (Aiden Turner) galloping on his stallion along a glorious piece of untarnished sand and windswept waves (oh joy). so in answer to my original question: why do I like Poldark? It is definitely the sea. And as I type, sadly, they are in London, nowhere near the sea. Damn it! Time is pure perception – how long was it for you? I’ve written about time here before. About a year ago, I decided that time was a messy scribble. I still think that time is a messy scribble. But I’ve also come to the conclusion that time exists only in my head. It also only exists in your head, in my mum’s head, in the heads of all of my children and in the head of the lady who served me my small Americano with skimmed milk this morning (poor thing only had four hours sleep last night, her time at work was dragging). Time as a scientific construct is meaningless. I’m sure I’m not the first person to say this. In fact, I know I’m not. Even scientists have said this. As that eminent philosopher Emmanuel Kant pointed out, time (and space) aren’t physical things, they are modes of understanding, part of our mental software that shapes sensations into something tangible. Time, in reality, is just the tool of our intuition. It isn’t real. Can you touch it? No. Can you measure it? Yes, sort of. What is this thing called time? I notice that when I’m happy, enjoying my time, engaged in something pleasurable, such as writing this blog, time is rapid. When I am anxious, worried, sad, down, or waiting for something to happen or for some important news, time is incredibly, painfully, tortuously slow. During those times, the gaps between meals, events, or moments between being asleep and awake seems to drag through the treacle of my mind. The thoughts race but time is slow. I hate time when I’m anxious. I truly hate it with a passion. Time is my enemy. We are opposites. It hates me. I hate it. The rational part of me will say to myself: ‘this won’t last forever’. However, the time to get to the time beyond the now seems beyond my reach. I have to keep telling myself, that cognitive oft-repeated phrase: This Too Shall Pass. It does, of course. Eventually. It isn’t just emotional pain that slows time, physical pain does as well. 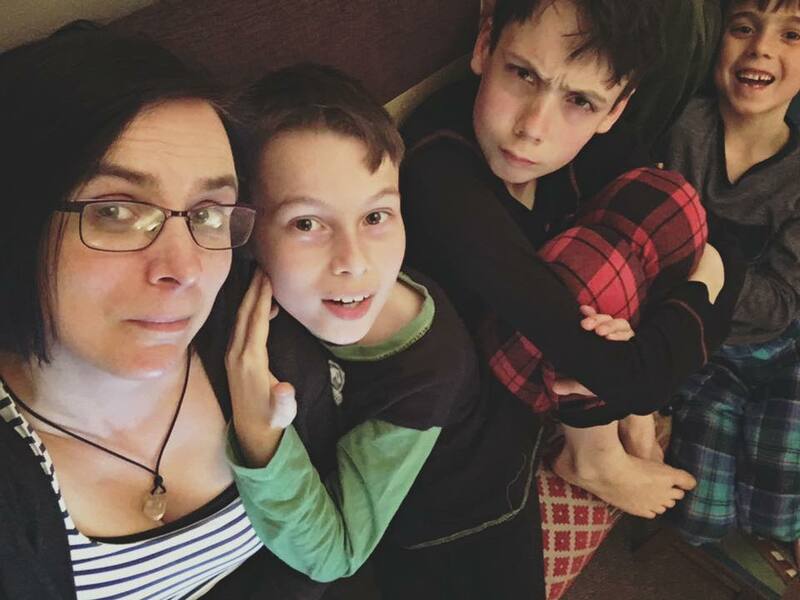 When I was in labour giving birth to my three babies, the time between each contraction and the times of the contraction itself seemed a lifetime (a common cliche – an exaggeration for sure but it makes sense). In actual fact, that time was seconds. Me shortly before my first child came out – time slowed. So conversely, when I am happy, joyous and relaxed, I forget time. It can be 11am one minute, and 1pm the next minute and I’m late (a minute, of course, in the perceptive metaphoric sense). I am late because I’ve lost track of time (another cliche which makes perfect sense). I am lazy because of happy time. Happy time skips by me, it glides effortlessly through my creative mind. It is my enemy again. I hate it because it doesn’t last long enough. I want more time but time betrays me and says ‘you must stop this now’. Time, also, quickens as I get older. That is not an unknown phenomena. It has often been commented on that time to a small child is perceived very differently to time to a much older person. Time to animals, also, is perceived differently to time to humans. A day in the life of a fly is not the same as a day in the life of my eight year old. So although we measure time, and we find comfort in that measurement of time, I think we should give that sort of ‘time’ a different name. Or perhaps give the sort of ‘time” of perception I’m talking about a different name. They aren’t the same thing. The time of measurement grounds us to the here and now. I think we would feel extremely anxious without this measured time. We can rely to a certain extent on the movement of the sun, the rumbles of our bellies, the yawns we start to emit late at night but we still need some precision to the measurements of our activities so that we don’t get too out of routine. People may say they hate routine but they are all lying, or kidding themselves. As for perceived time, we both love it and hate it, depending on how old we are and how happy we are. Or perhaps we always hate it – we either want less or more of it. Today, time for me is chugging along at a gentle speed. Ergo I must be having a relatively good day, its not my birthday so I’m not joyously happy, but equally I’m not anxious or stressed. And as I type that, I realise by looking at measured time and listening to the rumbles below that it must be lunchtime. 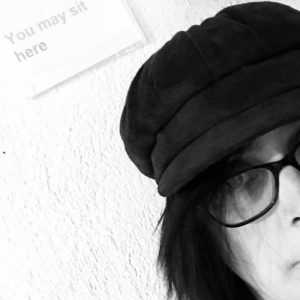 Today I found myself in a waiting room. It doesn’t matter what sort. That’s a whole other story. It was just a waiting room where you arrive, announce your arrival at reception, and are instructed to sit and wait until you are called to be seen. And while I was sat in this waiting room, I had a weird thought: waiting rooms are the same, not only all dentist waiting rooms, or even all GP waiting rooms, or even all out-patients waiting rooms, but ALL waiting rooms. They are all the same. They are the same in Bristol, Exeter, London, Shrewsbury, Telford, Aberdeen and Borth. They might even be the same in France, Germany, Japan and Nauru. 1. Stiff, straight backed chairs which are probably blue. Whoever invented these chairs is very rich. 2. A pile of old, well-thumbed, magazines. Does anyone actually read these? Where do these come from? Is there a website where companies can buy ‘old magazines’? Don’t dare have a question to ask, or even worse, moan that you’ve been waiting ages. 4. Really awful art in really cheap frames on the wall. I can’t find a photograph of a good example of this. I wonder why. These images are usually boats, landscapes or flowers. I think they are meant to cheer the patients / clients up. If it is a posh company, the artwork will be abstract without a frame. 5. Advice leaflets and / or posters. Does anyone actually take these? 6. Something which is described as ‘carpet’ but not something you’d have in your home. I bet it is full of fleas. 7. People on their phones, people looking sad, people bored. Yep, I was guilty of one of these three today. 8. A box of toys that mothers tell their children not to touch in case they contain the novovirus. 9. Not all waiting rooms contain this but the ones that do, irritate me: a TV advertising products related to what you are waiting for (dentists are notorious for this). 10. I can’t think of a tenth component but nine didn’t seem enough. If I had a job where I had to have a waiting room for people, I’d fill it with new magazines, books, chocolate, bean bags and a shag-pile carpet. I haven’t written anything here for ages. Perhaps I haven’t had any weird thoughts. I don’t think that is true; I have had thoughts, lots of them, I just haven’t written about them. Truth is, I’ve had lots of thoughts over the last couple of months, more thoughts than normal. Life is full of smooth, free-flowing times and chaotic, busy, challenging times. I’m currently going through a challenging time. Thinking about my thoughts over these last couple of months, I had a weird thought. Which is kiki? Which is a negative thought? Thoughts have shape. Challenging thoughts are angular and sharp. Happy thoughts are bulbous and curvaceous. Is that because if I were to sit on something angular and sharp I’d be uncomfortable and stressed yet if I lay in something bulbous and curvaceous I might fall asleep? Perhaps. I think I can go deeper. This weird thought reminds me somewhat of the well-known Bouba-Kiki effect. This ‘effect’ was discovered by psychologist Wolfgang Köhler in 1929. Essentially, this effect describes a phenomenon whereby people, irrespective of language, have a tendency, if asked to choose between two, to give a rounded object (such as the one to the right above) the name ‘bouba’ (originally ‘baluba’ when Köhler first conducted his experiment) and an angular shape the name ‘kiki’ (‘takete’ in the original experiment). The inference here is that we naturally attribute personalities and ‘sounds’ of language to shapes. Round things have ’round’ sounds. Angular things have ‘angular’ sounds. To me, this also applies to thoughts. This indicates a presence of synaesthesia-like mappings in the brain (having the condition myself, I am susceptible to this perhaps more than others). Interestingly, as an aside to this weird thought, studies have shown that individuals with autism do not fall into the predictable patterns of choice of words associated with shapes. Recent research has been looking into how this effect also relates to something called ideaesthesia. This is the phenomenon where activation of concepts, or ideas, evoke perception-like experiences (scientifically called concurrents). So this is exactly what my ‘thought’ thought is an example of. The concept is ‘the shape of the thought’ and the experience is round or angular. Recently, I’ve started cycling. I have a super fast bike which takes me for 23 km along the country roads of Shropshire. When I’m a fuzzy mess of chaotic thoughts I get on my bike. As I start my ride, my thoughts are all angular and knocking around inside my head, pinching the sides. The energy they give me translates into my legs as I peddle ever fast up those hills. Then as I take in the beauty of the countryside, hear the bleating of the sheep, smell the soft, comforting smell of manure, my thoughts slowly change shape. The ‘noise’ lessens, the angles curve and round, the sharp edges turn soft and round. My thoughts move on to things that make me happy. They even dissipate to some extent. The thoughts are slower, relaxing and comforting. By the time I return home. The shapes are completely rounded and cotton-wool like. What shape are their thoughts? What shape does a weird thought have? I suspect it has both round and sharp elements. As for this one? I’m really not sure. What do you think?